You may freelance or run a business where you often get paid from international companies and sometimes it may not be that easy to get the funds into your bank account in South Africa. 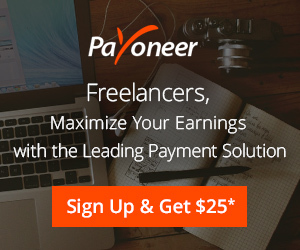 Payoneer is here to help anyone around the world easily receive payments from companies in Europe, the USA, the United Kingdom and more as well as make and receive money transfers. Forget having to go into the bank, open a different account or try and find other ways to get your funds. If you need to receive funds from Paypal, Amazon, Airbnb, Fiverr or many others then the service really can make your life much easier. You can also link your local bank account in South Africa and withdraw the money to your account if you prefer. This means that you can easily transfer money from PayPal to an RSA bank account for example.